Combine the shredded coconut and the baked pie crust on a small plate. 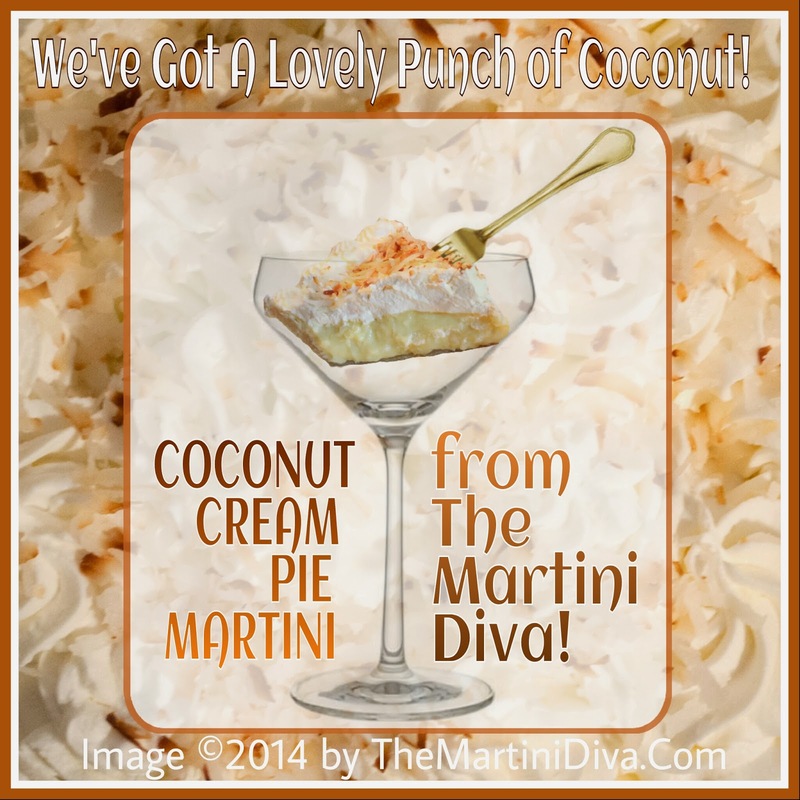 Dip your martini glass rim into some of the coconut cream then into the coconut/pie crust combo. Chill your glass in the freezer. Add the remaining ingredients to a cocktail shaker filled with ice and shake vigorously until chilled and blended. Pour into your chilled martini glass and enjoy. National Coconut Cream Pie Day is May 8th!